Atkinson Morley Hospital , Copse Hill. 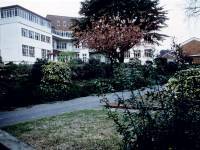 The wards were segregated into male and female and further divided into a large 20 bedded ward and a smaller 5 bedded ward on the ground floor. 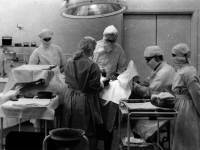 On the floor above there were two more 20 bedded wards and 10 single bedded rooms 5 for each men and women. 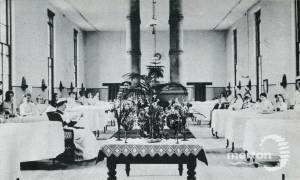 The hospital also contained a chapel, two dining rooms, pantry, larder, kitchen and staff accommodations. The laundry was in a separate building and large enough to clean the bedding from both the Atkinson Morley and St Georges Hospitals. Next to the laundry was a coach house where the coach used to transport both patients and laundry between the two hospitals was kept. The coach travelled between the 2 hospitals once a week on a Wednesday. In 1888 the coach was replaced with an omnibus that could transport 14 people.